Far in the northwestern reaches of Japan you’ll find the beautifully undiscovered region of Shonai, or ‘the hidden Japan’ to those in the know. 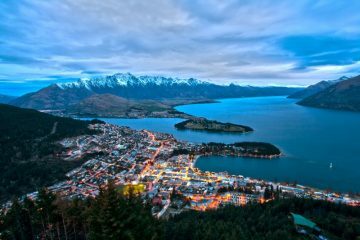 This region boasts miles of sensational hiking trails, incredible mountains, hot springs with views of the ocean and even Mount Fuji’s very own younger sister, but remains largely unknown to tourists. For centuries, the Mogami River was the main transport artery connecting the Shonai to the rest of the world, but these days you can catch the bullet train from Tokyo straight to Shonai, where a truly invigorating off-grid adventure awaits. 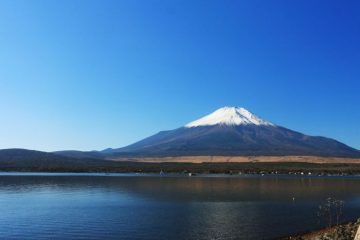 While tourists flock in their droves to Mount Fuji, you could be hiking up the equally stunning Mount Chokai (2,236m), known to locals as ‘Shonai Fuji’ thanks to it’s pyramidal shape and snow-draped peak. 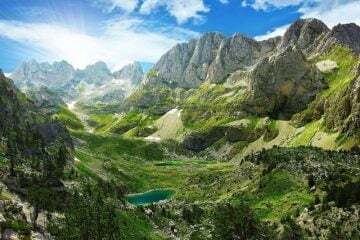 The only difference is, you’ll have the sensational panoramic views at the top all to yourself. Head there in summer and you’ll find an abundance of unusual wildflowers blooming at the trail’s edge, and glistening alpine lakes on the route to the summit. Take the Chokai Blue Liner bus to the start of the trail, where it’s a 10-mile round trip to the top, and don’t forget to check out the falls at the start of the hike – they’ll take your breath away. If you’re visiting in winter, there’s still some cracking hiking to be had, most notably around Mount Haguro’s five-storied pagoda, adorned with a blanket of snow, and the nearby Cedar Tree Avenue and Suga Falls. Over 1,400 years ago Prince Hachiko, son of the emperor of the time, found enlightenment on the summit of Shonai’s Mount Haguro. Since then, those seeking to purify themselves have made their way to the sacred mountains of Mount Haguro, Mount Gassan, and Mount Yudono; collectively known as Dewa Sanzan. The mountains represent worldly desires, death, and rebirth respectively and the shungendo belief that drives them is a unique mixture of Buddhism, Shinto, and local mountain spirituality and still lives on today. 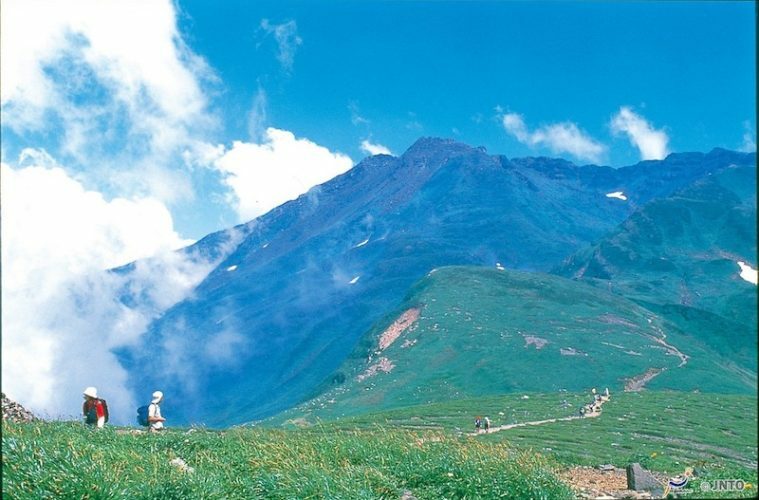 Traditionally, pilgrims would spend up to a week traversing all three mountains, guided by an experienced mountain ascetic, called yamabushi. 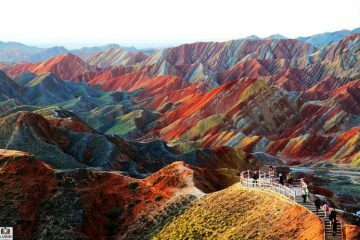 It is still possible to hike all three mountains today, although you may need to travel by car in-between each mountain. 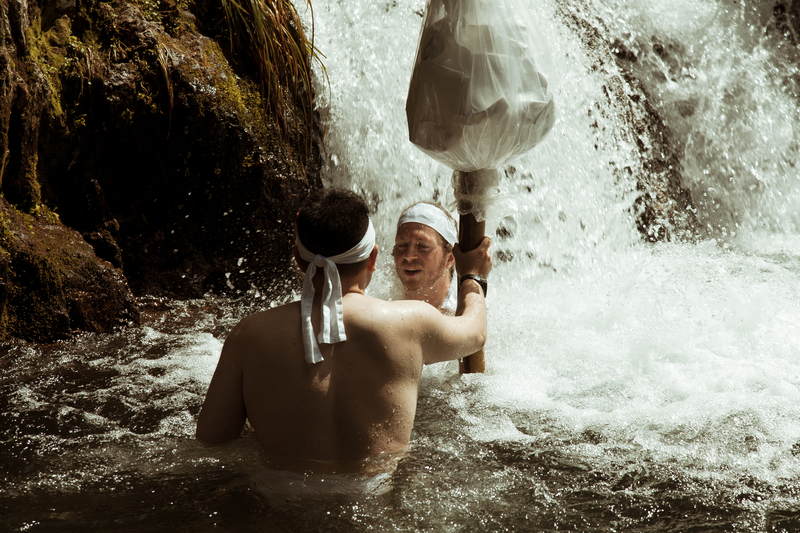 Visitors without much time but with the desire to experience the hardships of mountain ascetics can try a gyo experience on Mount Yudono, complete with shojin ryori (traditional vegetarian Buddhist fare) and waterfall meditation. After completing the gyo experience, you will be granted the privilege to enter a unique shrine so enshrouded in mystery that you won’t find any photographs of it anywhere. Finally, you’ll participate in a fire festival to wish for the well-being of family, good health, traffic safety, and protection against disasters. Shonai is a foodie’s paradise. Not only are the flat plains of the area rich with nutrients, but local farmers have long combined traditional methods with innovative technology to make the most of their crops. Shonai is one of few regions in Japan that boasts an impressive number of both heirloom crops and newly developed types of rice and has often been dubbed a culinary capital of Japan. Four distinct seasons ensure an incredibly varied food calendar, with mouth-watering specialties such as Wagyu beef and Dadchamame beans, renowned for their extra sweet taste. A visit to Shonai guarantees a great meal wherever you go, but why not make a meal yourself? At Kurayashiki LUNA Katanoya, visitors can try their hand at making some traditional Shonai specialties using local ingredients. Expert chef Wataru Sato will guide you as you learn to make a selection of simple but delicious dishes that everyone can enjoy together afterwards. 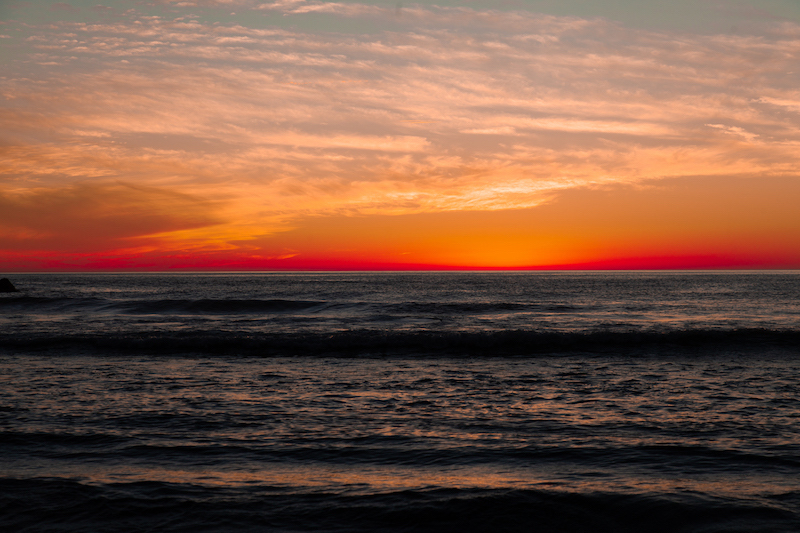 While Japan is known as the land of the rising sun, the west coast is most famous for its stunning sunsets. A number of hot spring resorts have outdoor baths where guests can enjoy the view of the sun setting over the ocean, while soothing their muscles after a day of adventures. Out of Shonai’s many hot spring areas, Yunohama Onsen and Yura Onsen are two of the best. Yunohama Onsen is a historic hot spring resort dating back over 1,000 years. For the most luxurious experience, enjoy the sunset from the comfort of an open-air bath at Kameya, an illustrious Japanese-style inn that has hosted the Emperor of Japan. Yura Onsen, meanwhile, is known for its romantic atmosphere and its beautiful coastline, which has been selected as one of Japan’s best 100 beaches. Shonai has any number of experiences for those seeking a moment to simply be themselves. 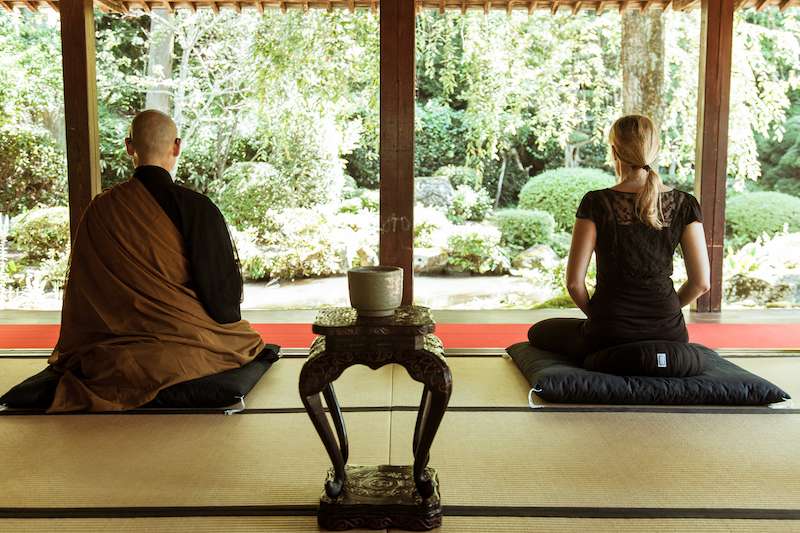 At Gyokusenji Temple, enjoy a free zazen (zen meditation) session while enjoying a view over one of Japan’s finest temple gardens. Afterwards, enjoy a freshly whipped cup of matcha green tea and a seasonal sweet for only ¥500, and take a walk around the garden. 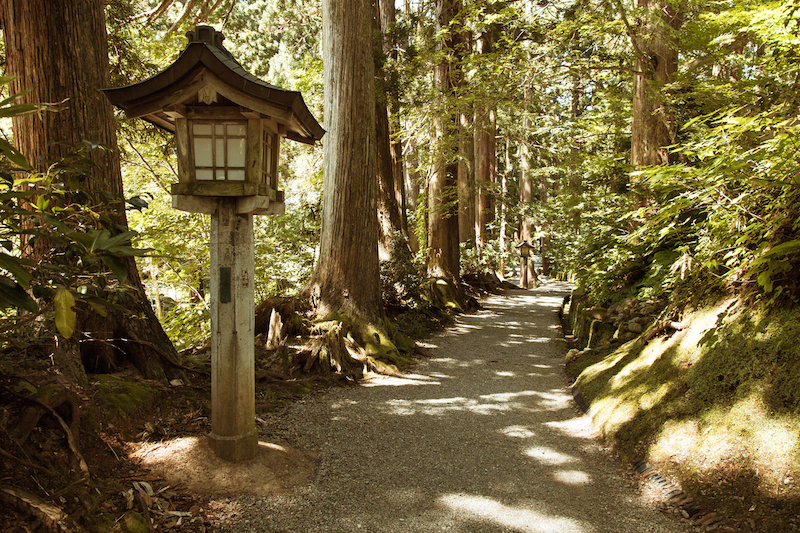 Just be aware that though the zazen session is free, there is an entrance fee to the temple grounds. You may request a session when you visit, but reservations are recommended to avoid disappointment and ensure the head priest’s availability. One of the many cultural imports that came through on the Mogami River was that of geisha entertainment. Sakata City in Shonai is one of the few places in Japan where visitors can experience geisha culture outside of the ancient capital. 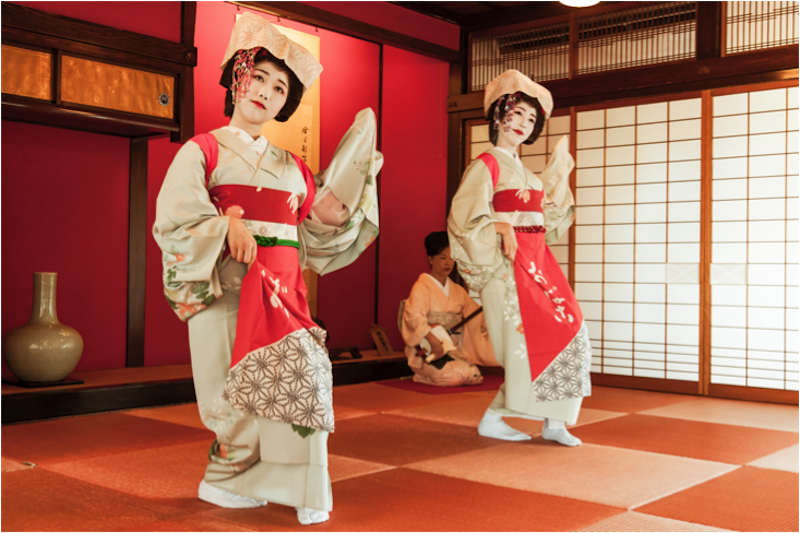 At Somaro Teahouse, there are two maiko (apprentice geisha) performances daily — one at noon including an exquisite bento lunch, and one at 2pm, with just the dance. The maiko weave stories as they dance, each movement spellbinding. After the show, take a look around the property, which is expansive, and holds many fascinating historical artifacts and more. Click here to find out more about this unique region and to book a tour, or visit the Odyssey Japan Facebook page.